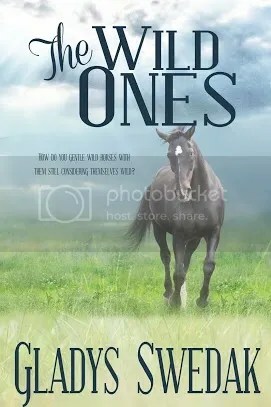 The Wild Ones is about 7 young wild horses left on their own. How they survive and are eventually gentled by the men of the Circle bar X ranch. The horses talk amongst themselves but not to the humans in the story. It is told from one of the mare’s point of view. This is her first novel written from a picture of two black/grey horses on a calendar and what her father taught her. Over the next year, Molly did a good job of caring for her six foster babies and her son. We formed a strong bond. The older colts helped her as much as we could to look after the younger ones. Then one day, Molly told us, “I’m going off alone. I want time to myself. Do not follow me this time. You older ones look after the young ones. I love you all. Good bye.” Molly looked at her foster family and her son for the last time. She had felt age creep up on her. Pain replaced her zest for life. She was going off to die alone. She knew we were old enough now to care for ourselves. It had been a long scary year for her. She knew Baby would be her last and may have grown up with one of the other mares as a foster mother. But it was she who became the only mother for all of us. She knows she had done a good job, as she tiredly trudged around the lake. We don’t know what she meant as we watched her walk away over the rise. Usually we followed her wherever she went. Now we were alone. “What is it, Angel?” Blaze asked, as he came over to me. He was the oldest by two days. “I think Molly isn’t coming back.” I said and looked at Baby and Cheekie, they were closer to Molly because they nursed longer than the rest of us. The rest of us took what was left one at a time when they were finished. 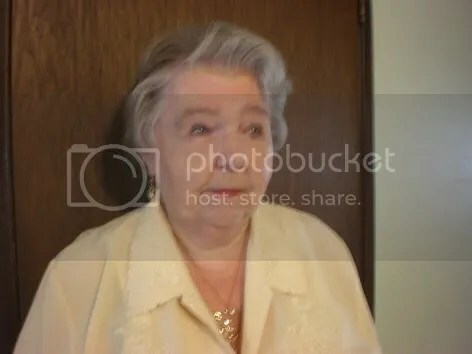 Gladys Swedak lives in Vancouver B. C. with her partner and two cats. She likes to read, do handcrafts and is learning art. She is a spiritual person and a member of Unity of New Westminster. She likes to write fiction and about animals. This entry was posted in Blog Tour, Book Launch, Books, Uncategorized, YA Lit, Young Adult and tagged Book Launch, Book Tour, Books, Fantasy, fiction, horses, YA, YALit, Young Adult. Check out the book, The Wild Ones, by Gladys Swedak, as featured in this post from the Monsters and Angels blog. Thank you, Don for sharing! !